Step out of the city life by going to Caversham Wildlife Park and Scarborough Beach. 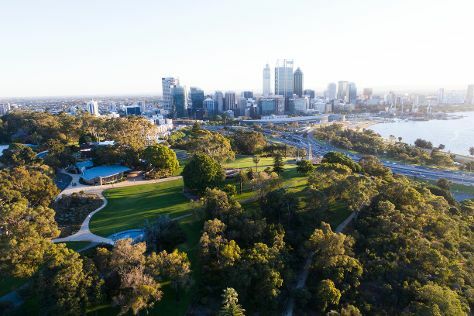 There's still lots to do: kick back and relax at Cottesloe Beach, appreciate the history behind Kings Park War Memorial, take in nature's colorful creations at Kings Park & Botanic Garden, and take in the views from Elizabeth Quay. For reviews, traveler tips, other places to visit, and more tourist information, use the Perth trip planner . Sofia, Bulgaria to Perth is an approximately 23-hour flight. The time zone difference moving from Eastern European Time (EET) to Australian Western Standard Time (AWST) is 6 hours. Expect much warmer temperatures when traveling from Sofia in December; daily highs in Perth reach 35°C and lows reach 17°C. Wrap up your sightseeing on the 3rd (Mon) to allow time to travel to Albany. Start off your visit on the 4th (Tue): examine the collection at National Anzac Centre, admire all the interesting features of Replica of the Brig Amity, and then stroll through Greens Pool. On the next day, tour the pleasant surroundings at Little Beach, enjoy the sand and surf at Cheynes Beach, and then explore the striking landscape at The Gap and Natural Bridge. To see other places to visit, reviews, ratings, and tourist information, go to the Albany trip itinerary website . Traveling by flight from Perth to Albany takes 3.5 hours. Alternatively, you can drive; or take a bus. Traveling from Perth in December, things will get slightly colder in Albany: highs are around 26°C and lows about 13°C. Finish your sightseeing early on the 5th (Wed) to allow enough time to drive to Esperance. Esperance is a town in the Goldfields-Esperance region of Western Australia, on the Southern Ocean coastline approximately 720km east-southeast of the state capital, Perth. 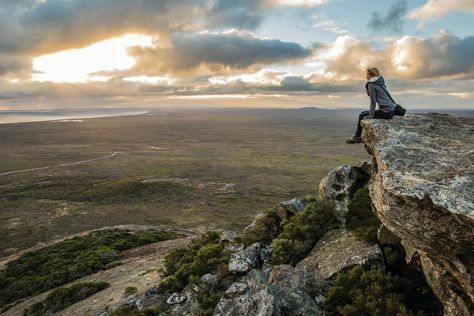 On the 6th (Thu), explore the striking landscape of Cape Le Grand National Park. Get ready for a full day of sightseeing on the 7th (Fri): stroll through Hellfire Bay and then enjoy the sand and surf at Thistle Cove. To find traveler tips, other places to visit, where to stay, and tourist information, go to the Esperance day trip planning site . Traveling by car from Albany to Esperance takes 5 hours. Alternatively, you can fly; or take a bus. 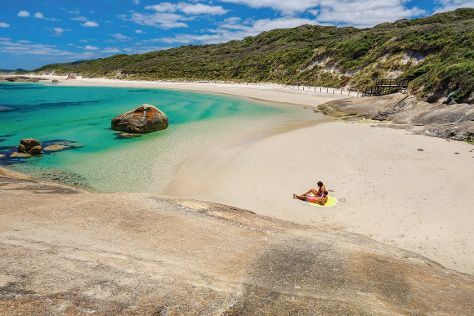 December in Esperance sees daily highs of 30°C and lows of 15°C at night. 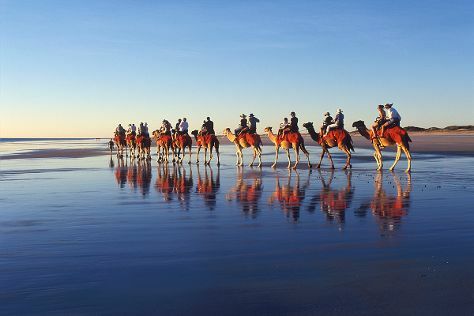 Finish your sightseeing early on the 7th (Fri) so you can travel to Broome. Start off your visit on the 8th (Sat): take an in-depth tour of Broome Historical Museum, then look for all kinds of wild species at Malcolm Douglas Crocodile Park and Animal Refuge, and then tour the pleasant surroundings at Cable Beach. On the 9th (Sun), you'll have a packed day of sightseeing: enjoy the sand and surf at Roebuck Bay, tour the pleasant surroundings at Reddell Beach, and then admire all the interesting features of Gantheaume Point. To find other places to visit, photos, reviews, and more tourist information, use the Broome trip planner . You can fly from Esperance to Broome in 6.5 hours. Alternatively, you can do a combination of car and flight; or drive. Traveling from Esperance in December, you will find days in Broome are a bit warmer (39°C), and nights are much warmer (31°C). Wrap up your sightseeing on the 9th (Sun) early enough to travel to Denham. Denham is the administrative town for the Shire of Shark Bay, Western Australia. Kick off your visit on the 10th (Mon): enjoy the sand and surf at Shell Beach and then go for a stroll along the water at Shark Bay. To find photos, maps, reviews, and more tourist information, go to the Denham trip maker app . Traveling by combination of flight and taxi from Broome to Denham takes 6.5 hours. Alternatively, you can do a combination of flight, bus, and shuttle; or drive. Cap off your sightseeing on the 10th (Mon) early enough to go by car to Exmouth. Exmouth is a town on the tip of the North West Cape in Western Australia. 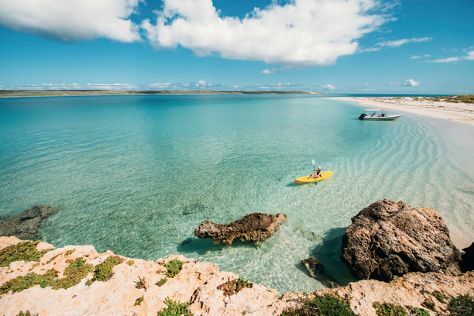 Kick off your visit on the 11th (Tue): explore the gorgeous colors at Ningaloo Coast World Heritage Area and then get a new perspective on things with Boat Tours & Water Sports. On the 12th (Wed), you'll have a packed day of sightseeing: identify plant and animal life at Ningaloo Reef and then enjoy the sand and surf at Turquoise Bay. For maps and other tourist information, go to the Exmouth online journey builder . Drive from Denham to Exmouth in 8 hours. Alternatively, you can do a combination of car and bus; or do a combination of taxi and flight. In December in Exmouth, expect temperatures between 43°C during the day and 24°C at night. Wrap up your sightseeing on the 12th (Wed) to allow time to travel back home.